This is a review for Brain Abundance Brain Fuel Plus. The manufacturer claims that this product will support memory, cognitive function, focus and mental clarity. Read on to learn more about this product and whether or not it is the ideal product for you. Please note: This product is available with both capsules made of gelatin and capsules that are vegetarian-friendly. It is recommended that three capsules be taken daily. There were no possible side effects listed on the manufacturer’s website. One bottle can be purchased for $59.95. This is the same price for a monthly membership where one bottle is automatically shipped every month. Three bottles can be purchased for $129.85. Six bottles can be purchased for $199.70. For an extra charge of $2.00 per bottle, customers can get the product as vegetarian capsules instead of gelatin. This is an option not many manufacturers give buyers, so this will appeal to vegetarians. The manufacturer does not offer a guarantee, but they do allow for customers to return the product if they are not satisfied. Customers who wish to return the item for a refund must do so within 30 days of purchasing the product. This small window of time may or may not be enough time to try the product and make an informed decision about it. There are no customer testimonials or reviews found on the manufacturer’s website. Customers may find it questionable that no one who has tried this product has given feedback or shared their thoughts on this product. Although no reviews could be found, this doesn’t mean that the product hasn’t worked for those who have tried it. 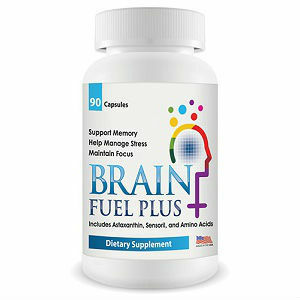 Brain Abundance Brain Fuel Plus is said to support memory, cognitive function, focus and mental clarity. This information has not been backed up by customer reviews, so it is unclear if this product works. Despite the lack of customer reviews, this product could work for you and could have worked for other who have tried it. If it doesn’t work, customers can always return it within thirty days of them purchasing it. One thing potential buyers may find appealing about this product is that they can purchase it in either gelatin or veggie capsules. Most manufacturers have supplements that are either vegetarian or gelatin, but they do not offer both. This is good for those who have a restricted diet that doesn’t allow certain ingredients. There is a $2.00 charge for those who prefer to use vegetarian capsules. Overall Brain Fuel Plus features a mixture of ingredients that could really benefit the people who try it. Depending on what you are looking for, this product could work for you. Henry Costa	reviewed Brain Abundance Brain Fuel Plus	on June 18th	 and gave it a rating of 3.